A group of British boys survive a plane crash and are stranded on an island without any adults. At first, they attempt to organize themselves with a leader, but a dispute for control rapidly emerges. Ralph declares himself in charge, but Jack, a decisive and violent child, also wants the role. This marks the beginning of a series of rivalries between Ralph and Jack. Ralph emphasizes the importance of keeping a fire with smoke to communicate with ships if any sail close to the island, but Jack only wants to hunt the abundant wild pigs. Piggy is loyal to Ralph and quite intellectual, but his pudginess hinders his survival. At the start, the children make a rule involving a conch shell where the boy holding the shell is the only one allowed to speak, an attempt at a rudimentary democracy although this system quickly falls apart. Also, they are fearful of a strange “beast,” but nobody can identify what it is nor can anyone catch it. When a man’s carcass is blown onto the island and is confused for the “beast,” the aghast children become desperate to catch it, although only the mysterious yet innately proper Simon realizes that it is simply a dead body, and the “beast” actually reflects the dark and chaotic aspects of human nature that are revealed when complete freedom is allowed. Eventually, Ralph and his few companions clash with Jack’s large tribe of boys who mask their faces with war paint and act like cruel savages. Since most of the children do not know each other in the beginning, the depiction of their progressing friendships and struggles are interesting to discover. At first, nearly all of the boys are strangers to each other before they develop small tribes, struggle for power, and display the troublesome sides of their personalities. 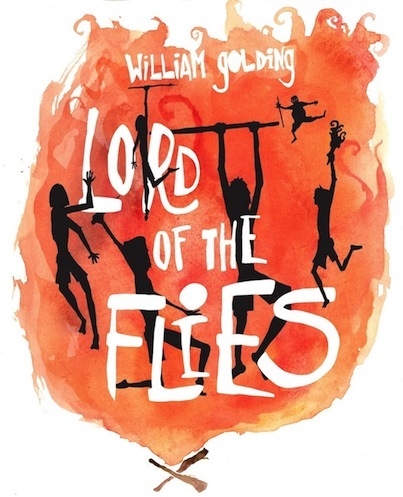 Despite my annoyance at the characters, I enjoyed reading about Simon’s hallucination with the Lord of the Flies, where Simon realizes the truth about the beast. However, that portion happens near the end the book, so the initial chapters are tedious to read, and they are mostly regarding petty fights, accidents, and mistakes that bored me. The book is ineffective as an intended example of basic human nature because diversity is lacking in the group. If the children were of a different demographic, their reaction to the situation might have been drastically different, but all of them are Caucasian boys. With small amounts of mild gore, the book would be best suited to ages ten and older. I would rate this book seven out of ten stars. 1. Why are the children on an island? 1a. The children survived a plane crash on the island. 2. Who becomes the leader of the boys? 2a. Ralph establishes himself as the leader. 3. What is the boys’ primary meat source? 3a. The boys feed on wild pigs that inhabit the island. 4. How does Ralph start the first fire? 4a. Ralph uses Piggy’s spectacles to start the first fire. 5. Who are the smallest boys? 5a. The smallest boys are Percival and Johnny. 6. What is another nickname for Piggy? 6a. Some of the children call him Fatty. 7. What do the littluns imagine the beast to be? 7a. It seems to be a snake. 8. What is used as a vessel for drinking water? 8a. Water is drunk from coconut shells. 9. Why is Robert nearly killed? 9a. The boys reenact a pig-hunting scene with Robert as the pig, but they accidentally forget that it is not an actual scenario. 10. How does Piggy motivate Ralph? 10a. He suggests that they should build a fire on the beach instead of the mountain. 11. What does Jack leave as an offering for the beast? 11a. He offers a pig’s head on a stick. 12. What is the Lord of the Flies? 12a. In Simon’s hallucination, the Lord of the Flies is the pig’s head. 13. How does Simon die? 13a. All the boys are chanting and dancing in a demented fervor while depicting a hunting scene. Simon comes out of the forest after his hallucination and is helplessly used as the victim, with his former comrades throwing sticks at him. 14. What does Ralph and Piggy want from Jack? 14a. They want Piggy’s spectacles back. 15. Why do Sam and Eric sneak back to Ralph? 15a. Sam and Eric warn him about the attack on him planned by Jack’s tribe. spelling, grammar, and punctuation. Please double-check. Thanks. Coming May 21st through 24th. Our production schedule. You can email Mr. Oncay directly if you want to volunteer for one of the jobs on the schedule. Volunteer signup for this show.